Perfect for Raspberry lovers! Whole raspberries wrapped in a delightful glaze generously ladled atop a Classic Cheesecake. Take the excellence of the Classic Cheesecake, nestle it into a graham-cracker crust, gently top it with fresh blueberries, then ladle a beautiful blueberry glaze over the whole thing! Mmm! For you cherry lovers, imagine: perfect plump, cherries, enveloped in a just-right glaze, sitting atop of all the goodness of a Classic Cheesecake! Held gently in a chocolate cookie crust, this classic cheesecake is delicate in taste and smooth in flavor, each morsel melts in your mouth! 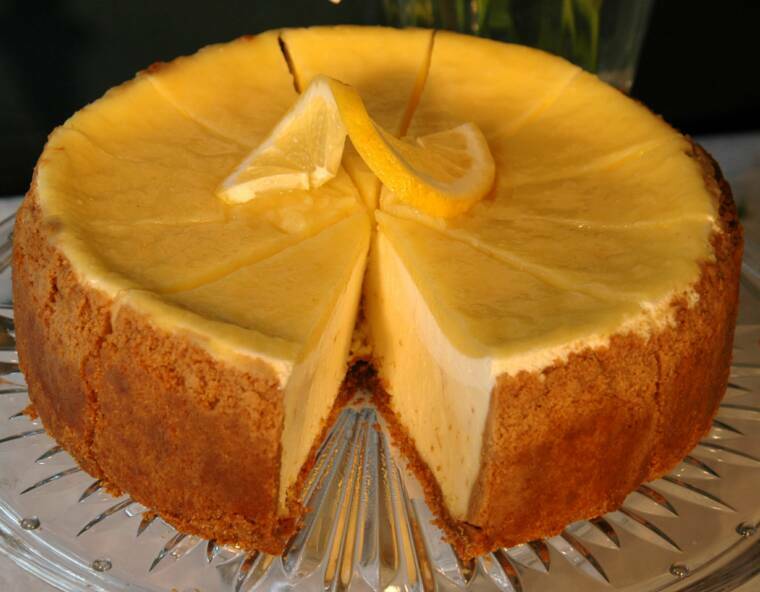 Freshly squeezed lemons blended into a creamy lemon filling, then laced with a sour cream inspired layer, and topped with more freshly-squeezed lemons in a tangy glaze; all this nestled in a classic graham-cracker crust. 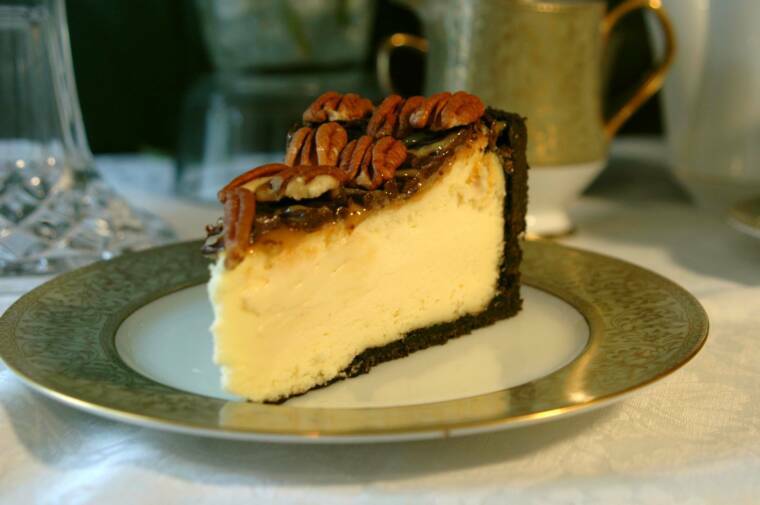 A chocolate cookie crust gently holds this exquisite cheesecake. It's delicate in taste and smooth in flavor. 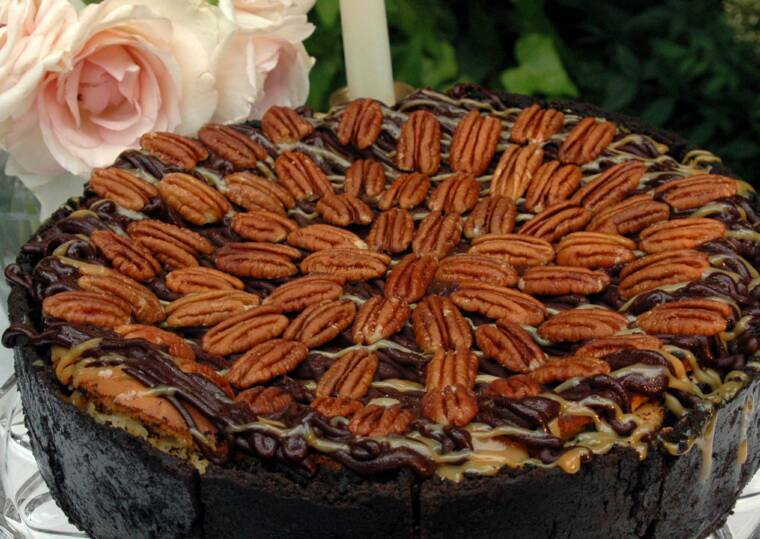 Elegant and decadently topped with freshly made caramel and rich dark chocolate weave, and crowed with toasted pecans. This jewel is regal in appearance and in taste. This is no ordinary pumpkin cheesecake! This beauty is light, creamy and velvety smooth! A wonderful balance of spice and earthy pumpkin flavor. 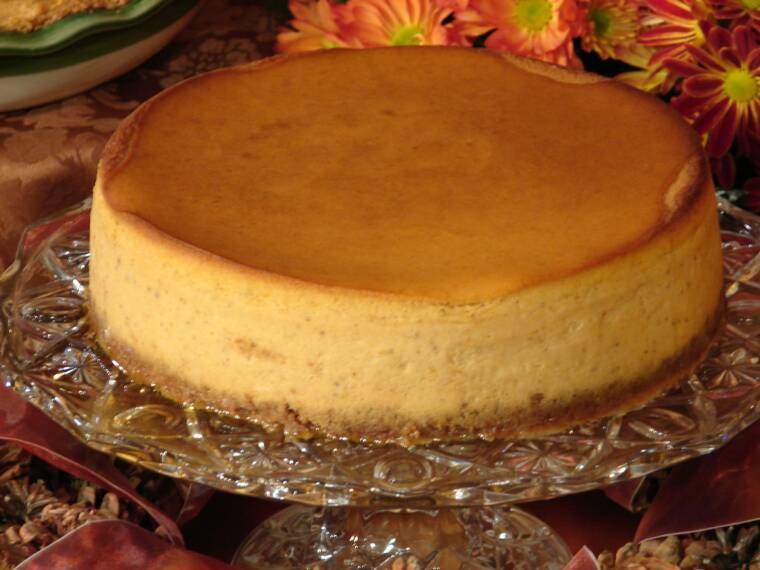 A delightful alternative to the typical heavy and sodden pumpkin cheesecake. Some spice mixed into the crust gives the buttery graham cracker crust that "just right taste!" This cheesecake is out of this world! Plump strawberries wrapped in a sweet glaze generously ladled atop a Classic Cheesecake. Cousin to my Three Layer Lemon Cheesecake, freshly squeezed lemons blended into a creamy lemon filling and topped with plump strawberries wrapped in a sweet glaze; all this nestled in a classic graham-cracker crust. 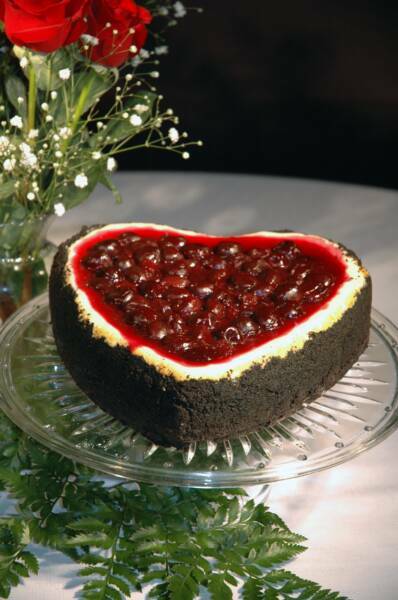 A heart shaped, chocolate-cookie crust gently holds this exquisite cheesecake. Delicate in taste and smooth in flavor, beautifully topped with perfect plump, cherries, enveloped in a just-right glaze. Imagine, each morsel melts in your mouth! An Easter Favorite! Imagine: First an oreo cookie crust. Second a melt in your mouth velvety-smooth cream cheese layer. 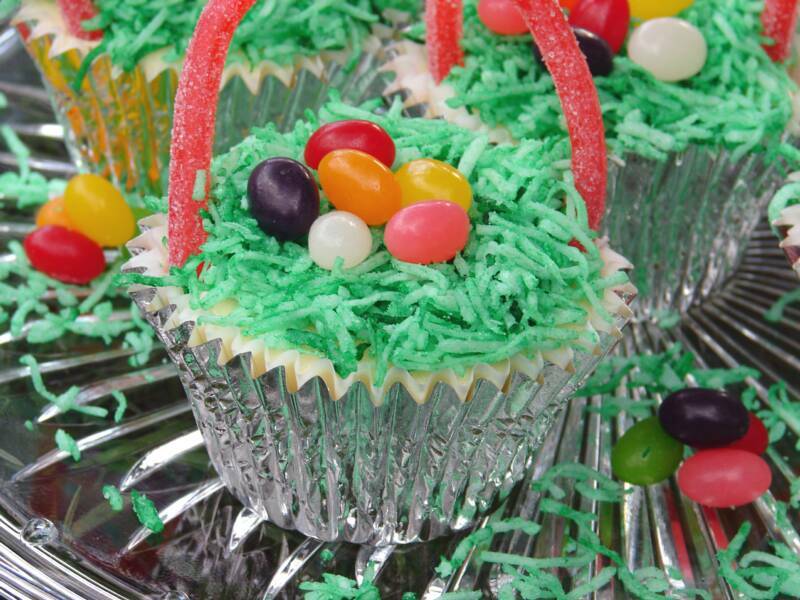 And third a topping of sweetened coconut and colorful jelly beans. And let's not forget a sweet candy licorice handle. 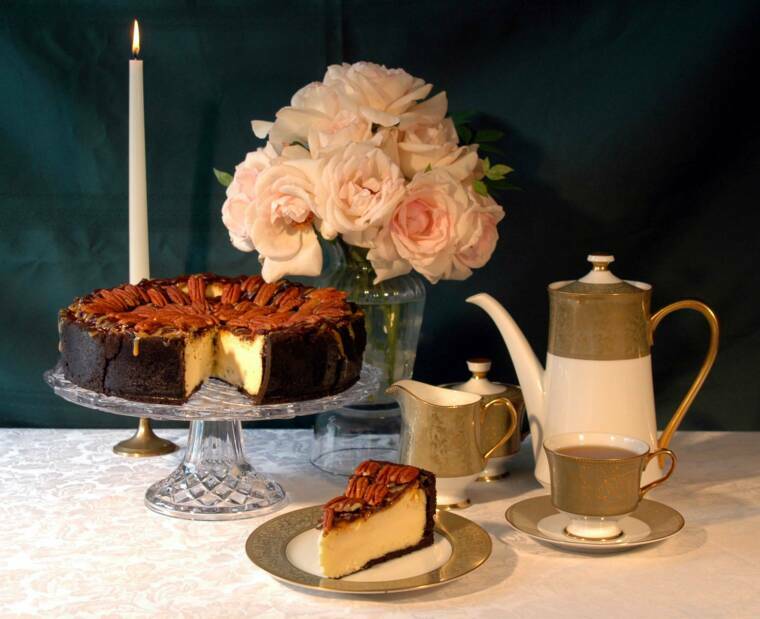 A velvety smooth Classic Cheeasecake layer on top a Rich Fudge Brownie bottom layer. The best of two worlds!